Between 500 and 600 m long, the 5 steel cables above the Karnica valley offer amazing panoramic views of the Bovec basin. Between 500 and 600 m long, the 5 steel cables above the Karnica valley offer amazing panoramic views of the Bovec basin. The cables are 3 km long in total. Suspended up to 200 m above the ground, you will reach speeds of up to 60 kmph during the adrenaline-filled traverse to the other side. 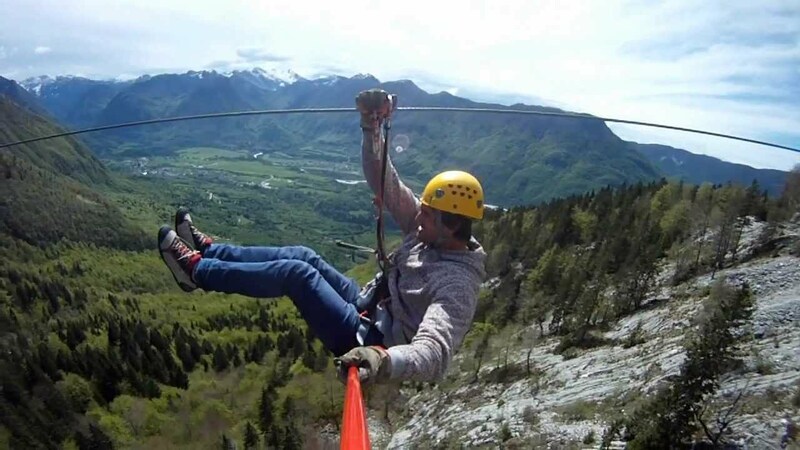 Zip-lining in the flying foxes park is organised by a sports company in Bovec.